One tradition of AFS Southern California is the annual Day at the Races. Held on Saturday, the event is a family event where attendees enjoy lunch, watch the races, take-in the track experience, and bet on their favorite horses. 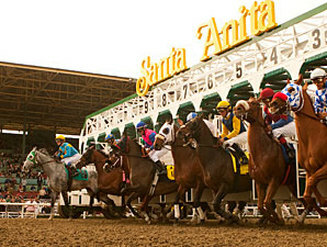 This year's event will be held at Santa Anita Park, located at 285 W Huntington Dr, Arcadia, CA 91007, off of the 210 freeway. Come join us for an enjoyable Saturday at the track. Click on the above Registration button for all details.